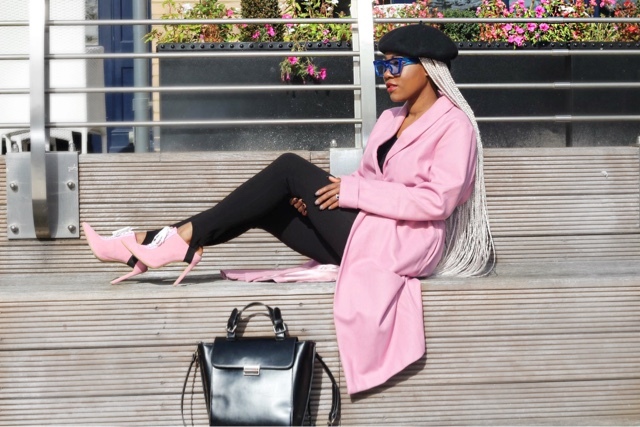 Pink Power -breast cancer awareness month Outfit ( Pink Trench Coat ) . 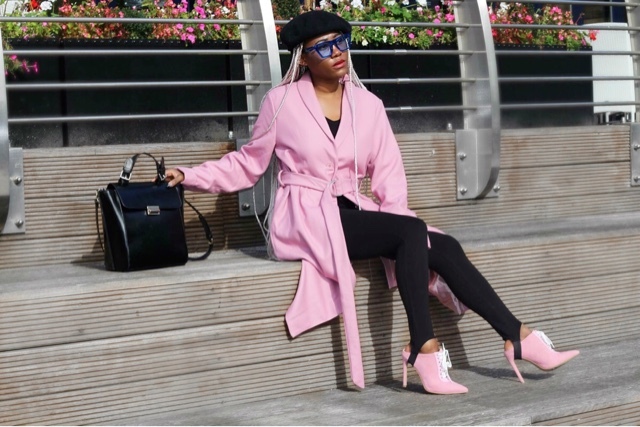 Hello lovelies.. happy Saturday, in today’s look I’m featuring my new trench coat from NA-KD. 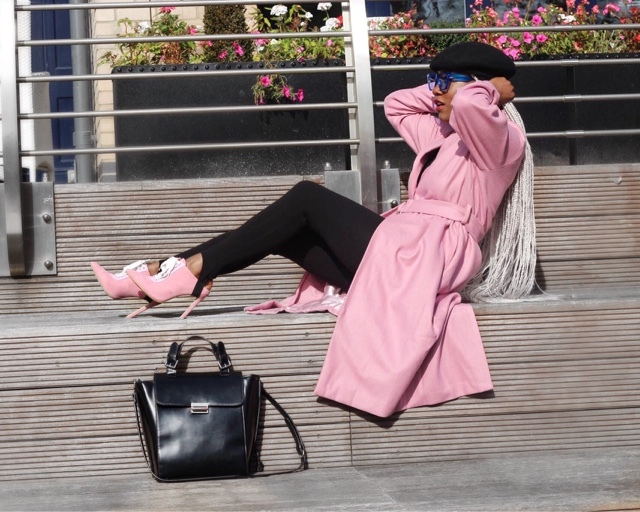 I literally have a love and hate relationship with trench coats lol, as a petite lady, they are just either too big or too long, which can easily overwhelm the look, but as the saying going there is always light at the end of that tunnel, and for me I found that light with this light 🌝pink trench, what I love the most is that it’s true to its size.. fits absolutely perfect. 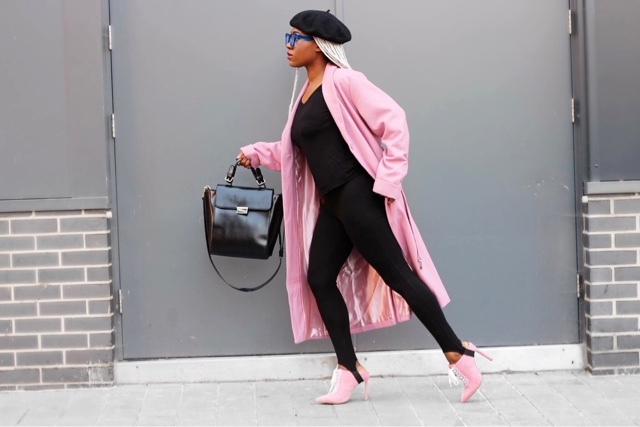 I paired it with black leggings and a black shirt giving the pink a chance to pop, I finished it off with even more pink, I love these pink heeled mules they went so well with the outfit, anybody spot the beret lol, aha.. literally feel like I’m in France. 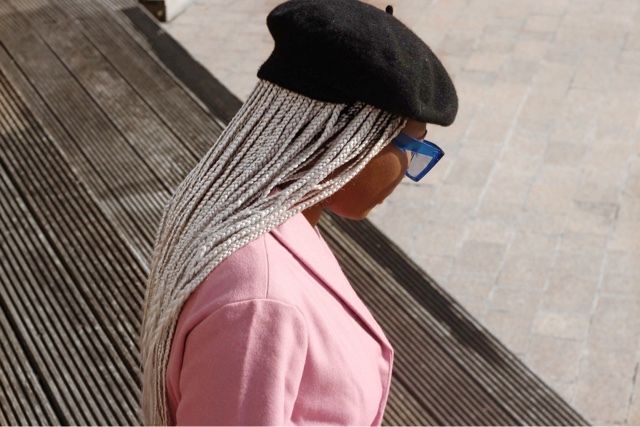 Absolutely fabulous outfit, great combo as well, all perfectly match, I love it. Thank you for sharing, you look stunning!!! that is awesome outfit are realy stunning with beautifull combination.. This pink is GORGEOUS on you! I love it against classic black, such a chic look!